Acknowledged author John W. Foster wrote Microbiology: An Evolving Science (Fourth Edition) comprising 1376 pages back in 2016. Textbook and etextbook are published under ISBN 0393614034 and 9780393614039. 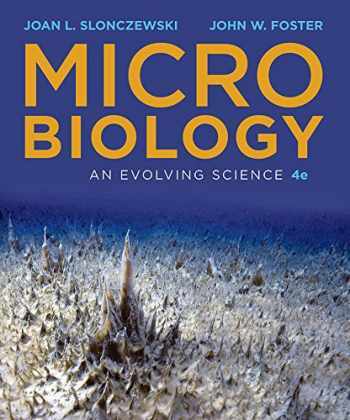 Since then Microbiology: An Evolving Science (Fourth Edition) textbook received total rating of 3.5 stars and was available to sell back to BooksRun online for the top buyback price of $48.61 or rent at the marketplace. The most current and visually engaging introduction to general microbiology.Microbiology: An Evolving Science provides clear, accessible explanations, smart pedagogy, and stunning art with a contemporary framework that emphasizes the field's cutting-edge research. With the Fourth Edition, the book's value as a superior learning tool is enhanced by two new themes―the gut microbiome and Antarctic microbiology―tightened chapters, and a new online homework course.